NSPCC – The website contains links to many resources about all aspects of child safety, including online safety. 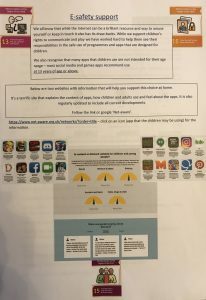 Netaware – This website tells you everything you need to know about social media and the available apps that your child might be accessing. Thinkuknow – A website for parents with useful FAQs about many aspects of safety online. 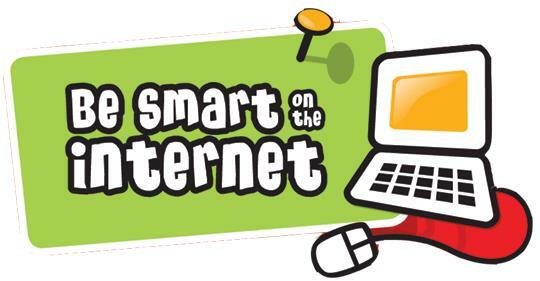 It also has plenty of downloadable free resources and presentations on internet safety. It caters for children as young as five. CEOP – This is the special unit of the police dedicated to cyberspace and has useful information and contacts if you have concerns about child safety online. BBC Chat Guide – This website provides a common sense guide to using chatroooms. Internet Watch Foundation – The only organisation in the UK that provides an internet hotline for the public to report websites with potentially illegal content, it also features useful tips on internet safety, filters and links to other helpful organisations. Be Safe Online – Provides information and guidance to parents and teachers regarding the potential problems of life on the internet and how to behave. The website contains a list of golden safety rules, guidance on how to stay safe using email, setting up personal websites and surfing the internet. Get Net Wise – This is an American public service website set up by internet industry corporations and public interest organisations designed to help ensure that internet users have safe, constructive, and educational or entertaining online experiences. An excellent website, easy-to-use with lots of comprehensive information on keeping children safe online, guidance on protecting your home PC, stopping unwanted emails and keeping our personal information private. Childnet International – This is a non-profit organisation working with other organisations around the world to ensure the internet is a safe place for children. The website contains lots of information and resources for parents, teachers and children.